Order within 20hrs 15mins for delivery Monday 22 April using next day delivery at checkout. 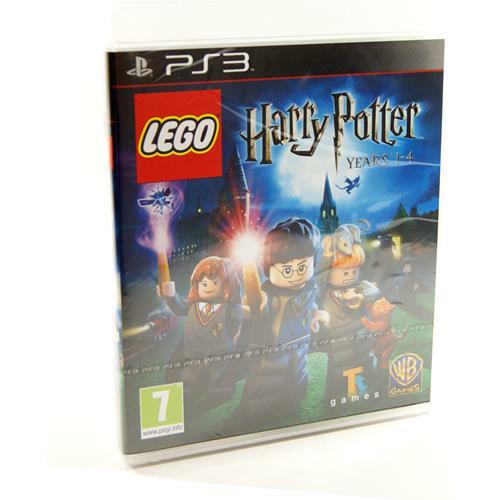 LEGO Harry Potter Years 1-4 combines two of the most beloved franchises to deliver a magical, fun-filled adventure. Based on Harry's first four books and films - Harry Potter and the Sorcerer's Stone, Harry Potter and the Chamber of Secrets, Harry Potter and the Prisoner of Azkaban, and Harry Potter and the Goblet of Fire - fans can experience Harry's first four years at Hogwarts School of Witchcraft and Wizardry in a new and exciting way.